One can edit and update details of an Organisation from Organisation detail page. 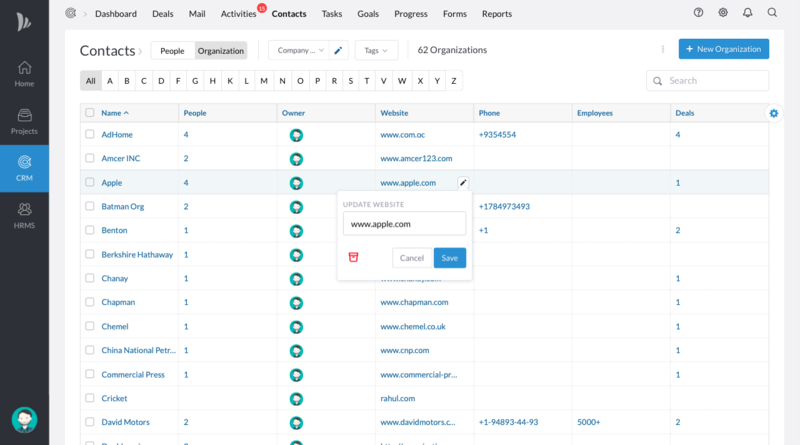 You can change the details of an Organisation like Name, Domain and Custom Fields or update them from the Contact section in CRM Module. Enter the changes and click on save. 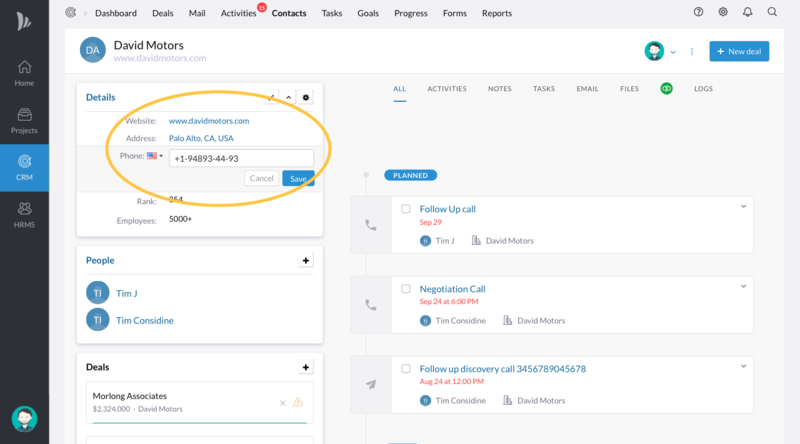 You need to have access to the Contacts section in CRM Application.